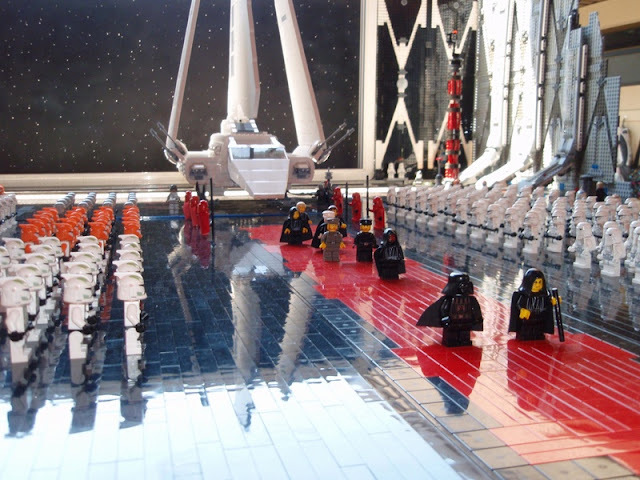 Imperial Employee of the Month Jay Hoff has been hard at work building the greatest LEGO Diorama in this or any other Galaxy. 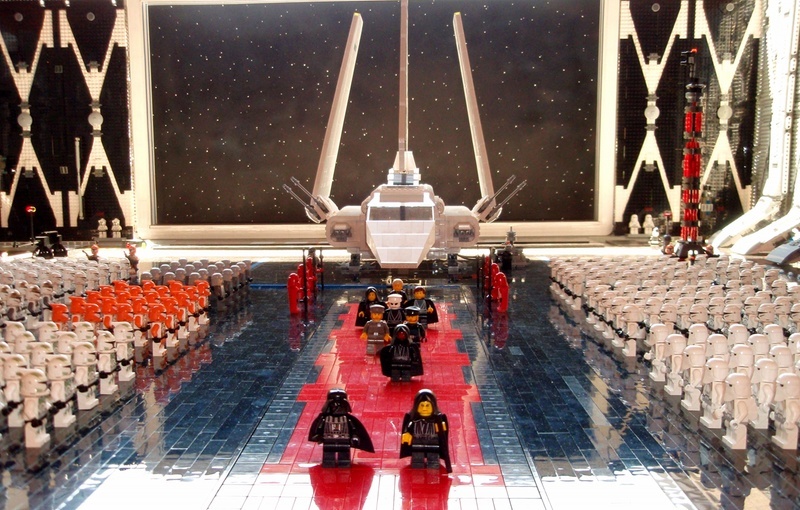 An impressive, most impressive 37,000 pieces of LEGO (as well as, presumably, a scary amount of time and money), including 388 mini-figurines, went into this custom commemoration of the Emperor's arrival on the second Death Star. This great moment in Imperial history was made in 2011 for Science Discovery Day at Berkeley Preparatory School in Tampa. 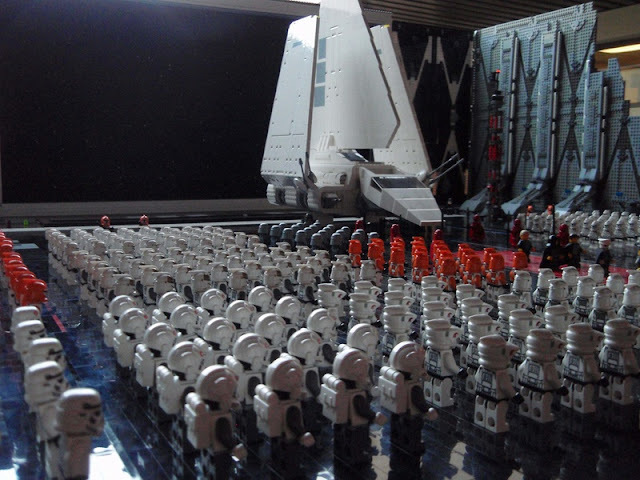 It uses an Imperial Shuttle Kit with custom designed Death Star hangar. 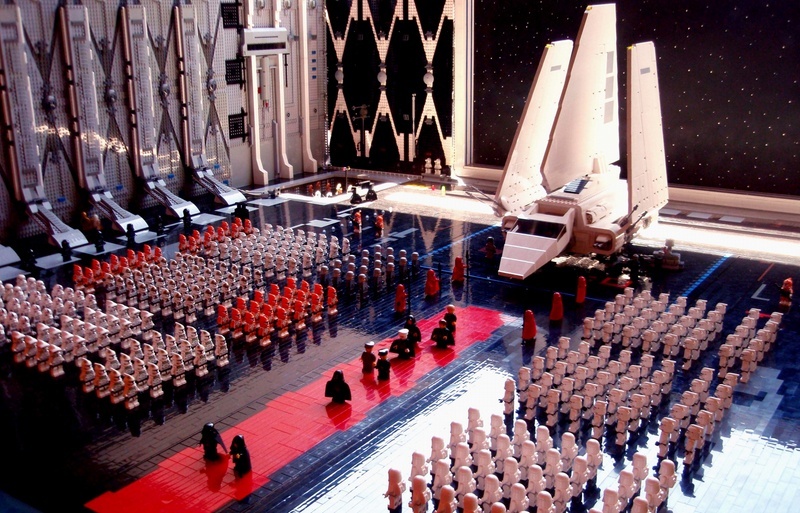 And yes, if you look closely enough, you might be able to spot a few Clone Troopers and a cameo appearance by Darth Maul, but only because they were really there at the time. Weren't you paying attention? 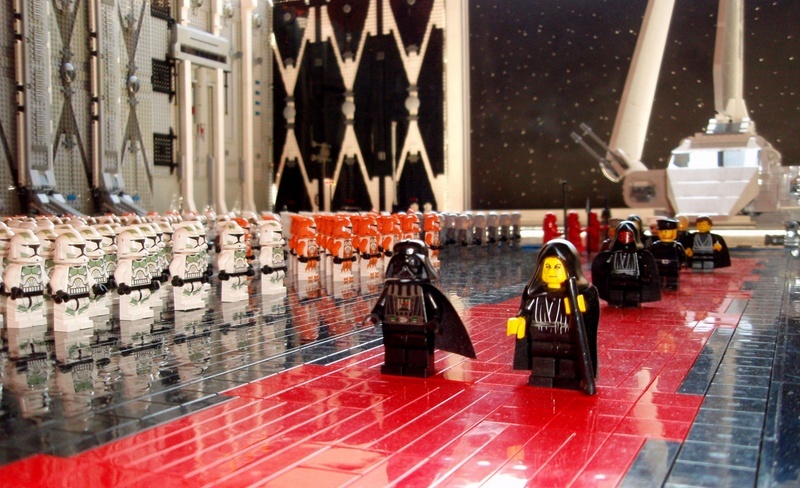 Thanks to Chris Nagle via Blastr for the tip. That is brilliant! Well done. 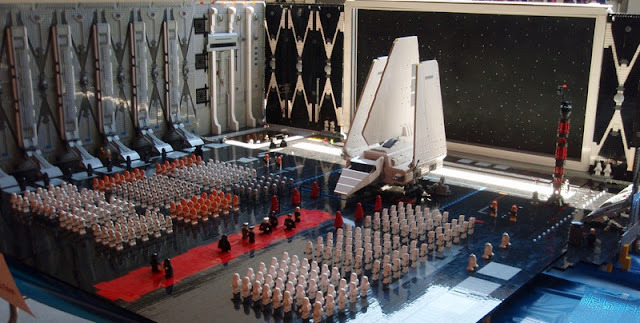 Such attention to detail, and very accurate! A weel deserved honor Jay Hoff...now get back to wrok! That's pretty damn cool. Nice job.